· Edit SHADES OF GRAY; In progress. I’m about 50 pages into this re-edit. · Finish GIRL VERSUS DEMON: DEMON DEADLY SINS. Am at the 1/3 mark, and full speed ahead. · Research THE PERRAULT VOW. Ideas are percolating! 😉 Research fun is started. · SEKRIT PLAN #1 Still working on this. · Blog at least once a week Okay, so I’ve totally fallen down on this one with life going crazy and the newest publishing hiccup. Will be trying to get back on this horse. · Work out on a regular basis Does loading and unloading for a convention count? Haven’t done as much as I’d like; some of this is due to the bitter cold weather we’ve had here lately. · Bathroom remodel Hubby and I are earmarking funds for the tub and shower surround; our goal is to have this bought in the next two or three weeks, so that we can actually start doing the work on all of this. · Plant some roses So not happening while the weather is like this! · SEKRIT PLAN #2 On hold … waiting for both the bathroom remodel and Sekrit Plan #1 news to get started. · SEKRIT PUBLISHING NEWS AND THE WORK BEHIND IT This was about the official print release from Musa Publishing for book one. I’m working on the next step on this series, will announce more when I know more. NEW GOAL ADDED! Cuz I don’t actually have enough to do…Let’s add another. EAT HEALTHY 6 days a week, eat what I want 1 day a week. I’m doing a bit of calorie counting but at the same time, I don’t care if I go over my calorie count for the day as long as it’s healthy stuff…raw veggies, fruit, etc. I am trying to add in more of that. I will be at Cleveland Concoction March 13-15, 2015, which is being held at the Sheraton hotel at the Airport in Cleveland. While I’m in Cleveland, I will be handing out promotional GOT FROG? Buttons, bookmarks, and other swag-a-licious stuff…and this sounds like a truly wonderful conference. I’m so looking forward to it! If you’re into books or writing or publishing at all, you should really considering attending. 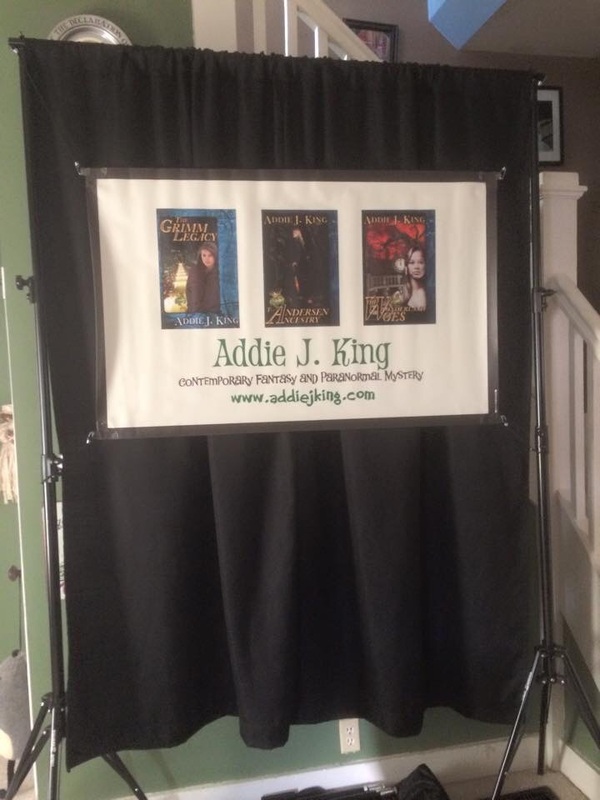 ALSO stay tuned….publishing news coming soon with regard to THE GRIMM LEGACY series…but it’s not finalized yet, so I don’t want to start celebrating just yet. That’s scant consolation when one is at a crossroads and trying to make decisions on what to do next. My publisher, or rather, one of my publishers, Musa Publishing, announced last week that they would be closing their doors as of February 28, 2015. To say that I was surprised is an understatement. I’d just recently gotten word that they were going to start releasing books in print, and so I hadn’t expected this kind of news. There are some who might speculate as to why they are closing, and I’ll say here that I have no idea what the true, underlying reason is. I know some of the issues that have been cited to the authors, I can guess at others, but it’s not my business to guess as to why others make the business decisions they make. I’m not their lawyer, their business manager, or their accountant, and so I don’t have firsthand knowledge of any of those things. If I was, I wouldn’t be able to share them for confidentiality reasons. Meanwhile THE GRIMM LEGACY, THE ANDERSEN ANCESTRY and THE WONDERLAND WOES are all for sale for readers through the end of the week. If you click on “Bibliography” at the top of the page, you’ll find buy links for all of my Musa books. If you buy them through the publisher’s website, (click on “Musa” link) you’ll find them at major discounts that will last until February 28, 2015. There may be a time where they are not up for sale on Amazon, Barnes and Noble, and all the other sites, but please keep in mind that I am looking for a home for the books. That home may end up being self-publishing. It may be with another publisher. Please know that I am exploring options and will report more when things become more settled. I hesitate to post any plans here, because I am still working through all of that. I’m hoping that I have answers for you sooner rather than later, but I’m not going to provide answers I don’t have. I am planning to be at all currently scheduled appearances, and have not changed those plans AT ALL. I have to say that regardless of the reasons, I have enjoyed working with the Musa staff and employees, and have to say that they have been very responsive to all questions, concerns, and ideas I’ve had come up, not just in the last few days, but also throughout my tenure with them. I wish all of them well, and hold no ill will toward any of them. Maybe someday I will be lucky enough to cross paths with any (or all) of them again, and will happily see if our publishing interests again intersect. I am grateful for all that I have learned with the company, and I cheer them for their ethical and moral stand on transparency and responsibility to their authors. I am very definitely the plan ahead traveler. My husband is SOOOO not. Well, I guess I shouldn’t totally say that. He’s got his own plan in his head, which generally involves getting a list together of what he needs to have when he throws it all in the suitcase at the last minute. He knows what he’s looking for when he’s hunting through the house the day before he leaves. I’ve been known to make actual paper lists of the outfits I’m taking so that I know I have all of the pieces of the outfit set aside for the trip. If I’m short a pair of socks, a pair of shoes, or something like that, then I know, in my head, what I need to shop for before leaving. I always have at least one outfit for each day, one extra pair of pants and one extra shirt in case of clutzy spillage, and a light jacket or sweatshirt or cardigan (depending on the level of dress code of the trip) in case of chilliness or over-cranked air conditioning. I take at least one pair of tennis shoes no matter what, so that I always have a comfy pair of shoes in case of lots of walking. And that’s just the clothing part of the packing. And I start doing this a week to a week and a half prior to the actual trip. If not sooner. 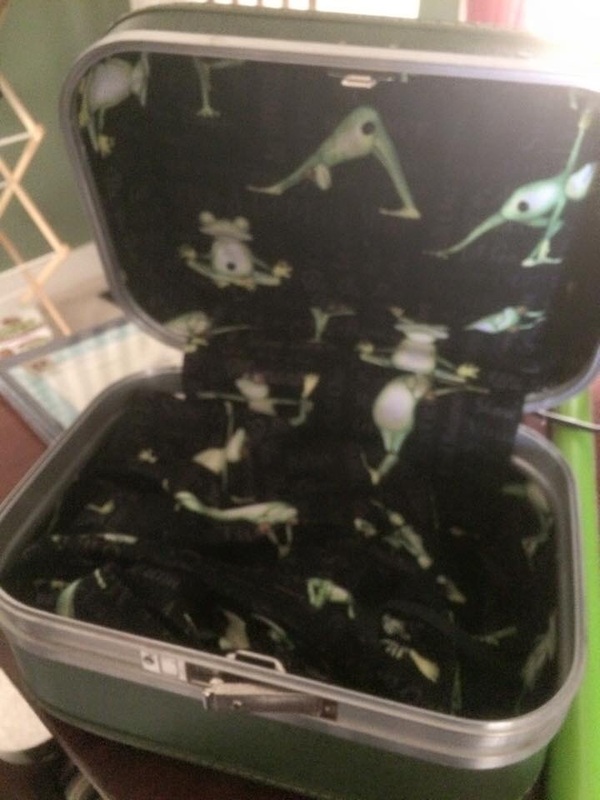 Can you imagine the mental lists when it’s more than just a suitcase? Well, then I know what needs run back through the laundry on high priority before the trip. Yeah, I can be a little OCD when it comes to details. We are headed to Wizard World Cleveland in about a week. This is probably one of the biggest shows I’ve ever gone to for the books or as an author. Which means that I’m losing my mind making sure I’ve checked everything I can think of off my list as far in advance as possible. As you can see, I’m actually in pretty awesome shape at the moment. And yet, I’m still fussing about things that aren’t done. My husband is shaking his head at me, because we still have gobs of time to get it all done, and I’m fussing that we’re going to run out of time. He’s trying hard to get things done closer to my schedule, and I’m trying hard not to ask why it’s not done already. Ah, the joys of compromise in marriage! We’re gonna have a blast. I’m looking forward to this so much. And I can’t wait to share it with him. On this, the third full week of January…where am I at on these goals for 2015? Finish THE BUNYAN BARTER. Well, I am writing like a maniac and closing in on the end, but not done yet…good thing I’ve still got a week to go! Edit SHADES OF GRAY. Not on my radar yet until after January. Have been discussing with Hubby the need for cover art, edits, and have been talking to another author about interior formatting. More as I figure this out. Finish GIRL VERSUS DEMON: DEMON DEADLY SINS. Not on my radar yet until after January. Research THE PERRAULT VOW. Not on my radar yet until after January. SEKRIT PLAN #1. Working on it. Blog at least once a week. This counts…so I’m still on it! Work out on a regular basis. Hauling books into the house, taking inventory for 2015, reorganizing everything for upcoming appearances, and repacking the car, and then unloading and reloading for my first event of the year counts, doesn’t it? Bathroom remodel. We are actually going this weekend to look at faucet fixtures or a light/vent fan combo. We’ll see what we see and see what prices we can find. Is it sad that date night is dinner and Home Depot? Write at least two new short stories. Too many ideas popping up while on deadline for something else…needs to stay off my radar for me until after January. Plant some roses. Where are my gardening gurus? I’d like pink or red flowers, possibly sweetheart roses. I’ve had roses in containers before, so I get that these aren’t the easiest, but what would you recommend for fairly low (relatively speaking) maintenance in a small yard? SEKRIT PLAN #2. Will have to happen if #1 happens. And yes, this is another remodeling project in the house. We have the paint. That’s as far as we’ve gotten. SEKRIT PUBLISHING NEWS AND THE WORK BEHIND IT. Will have to keep you updated as I can; this is not yet in stone, and is still in flux, but the work it will take to do this will be in the to do list. So, it doesn’t seem to look like a lot of progress yet, but progress is being made. Once I get through January, you might see a bit more accomplished. Until then, keep your hands and arms back, and provide the writer on deadline with a continuous IV of coffee! I mentioned something to the Husband the other day that I felt like I wasn’t scheduling that much for this year for appearances and events. He asked me what I was talking about. I listed off the four events I’d absolutely committed to and the three local events I was planning to attend if I could. That’s seven appearances. That’s not a small amount of places to be. Last year, I did eleven. Which is why it seems like it’s light this year. It’s really not. I have to remind myself of that. And, of course, I’m still in flux for appearances at the end of the year, and some of that will depend on the Sekrit Planz that are on my 2015 goals list; they could conceivably turn schedules upside down at that point. It’s making me nuts that I can’t commit to things just yet, but hey, that’s the way my life is these days. More to come as things start to firm up for the year; if I’ve done this right, I think I might have been able to schedule events such that I’ll have no events during The Boy’s spring soccer/track season. Life’s going well, but busy, as my nose is totally to the grindstone working on THE BUNYAN BARTER. Not a lot of news to report, other than putting up schedule and seeing what’s going on. Thank You All For an AWESOME Birthday! Guys, you’ve made me soooooo happy by downloading lots and lots of copies of THE GRIMM LEGACY. Sales rankings looked pretty awesome. I hope you enjoy it. IF YOU DO…go get books two and three…I think you’ll like them too! LOTS of people ask me at book events and conferences whether the book is safe for pre-teens. I will tell you that YES it is…depending on the pre-teen. The Boy read the first book at 12. At that point, he’d already seen The Hunger Games (movies, that is, he’s reading the book now), and I always tell people that there’s more violence in The Hunger Games than in my books. There might be a tad more kissing in the books, but it’s pretty limited. I’d say it’s pretty young adult safe. The characters are definitely more worried about the latest magical going-to-eat-their-faces-off-before-breakfast type of evil than their love lives, although there’s plenty of romance and drama there, too. I’ve also ordered some promotional buttons. I’ve still got three appearances coming up this year. Will post a picture when I get them; I totally love them. THANK YOU to Kelly Shorten, the art director at Musa, for humoring my wild-hair idea and turning it into something pretty neat. My husband brought me coffee in bed…which he does quite a lot! I got donuts and cookies from Schuler’s Bakery in Urbana from co-workers. YUM! I spent all day at work, and got home to find a DOZEN RED ROSES from my wonderful, loving, husband. HE ROCKS, and NO, I’m NOT sharing…he’s MINEMINEMINEMINEMINE!!! (LOL) He and The Boy had a card for me, there was one from my mother and father…I had phone calls wishing me a happy birthday from Mom and Grandma, text messages from my sister and my dad. We headed off to The Boy’s soccer game…and my in laws presented me with a cake with Cinderella and her pumpkin carriage on it! I’m not a girly girl…but I loved it! I’d say that’s an awesome birthday. Oh, and…hint hint hint…it’s still up there for free on Amazon. 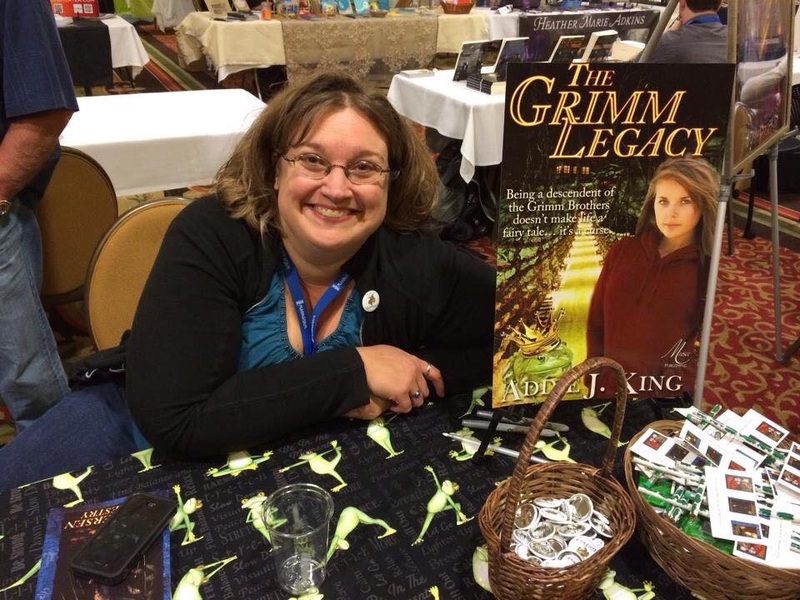 Today only…The Grimm Legacy free! I just have to thank everyone who stopped by Facebook and wished me a happy birthday. WOW I have some awesome friends, co-workers, and readers! You guys seriously know how to make a girl’s day. I woke up this morning to my wonderful husband bringing me coffee, my co-workers brought in Schuler’s donuts and cookies to our morning video conference, and when I checked through the day, you guys have downloaded the freebie of Book One THE GRIMM LEGACY so many times that it hit #3 in Fairy Tales under Mythology and Folk Tales. WOW. Just a reminder that this freebie is ONLY for today. If you’ve been meaning to download the book, please do so before the end of the day! I have to thank my publisher Musa Publishing for allowing me to do this. And if you like the freebie (or if you’ve already read and liked Book One), check out books two and three, THE ANDERSEN ANCESTRY and THE WONDERLAND WOES. These continue the saga of Janie, Mia, Bert, Aiden, and all the rest. Also, if you downloaded the book, and are willing to leave an honest review, please do so. Reviews help authors get the word out about their books. If you don’t feel comfortable reviewing the book, no worries…but don’t be afraid to review other books if you feel you can. Spread the word…let others know if you like it. Word of mouth is a beautiful thing! My inbox, my facebook page, my twitter account, and this website are all places where people can catch me, and it’s been wonderful and overwhelming today. Life, Our Universe, and Everything..including a FREEBIE! I realized that I forgot to actually say that The Boy really enjoyed his stay at soccer camp this summer at Ohio Northern University. It’s my alma mater, so it was really interesting to go up there and see all the things that have changed. Silly me, I’ve been up there to judge mock trial competitions in Hill building and the law school building several times over the years, but I haven’t gotten past those buildings to see the rest of the campus in a long time. The trees in the Tundra are much much taller and the residence halls are soooo much nicer; they’ve done a lot of work on campus. It’s changed a lot since I was there. Some of those were good changes; some were changes that weren’t unexpected, but I was disappointed to see the change. We’re heavily into fall already, even though it’s only August. The Boy is running cross country this year, as well as playing for the Springfield Thunder soccer club, and starting seventh grade, so we’re a little nuts running to All The Event Things. The Boy, on the other hand, is vacillating between “I’m too hot and tired to eat,” and “EAT ALL THE FOOD THINGS!” Even so, we wouldn’t change it a bit. Hubby and I haven’t had the Model T out much this year, because my wonderful husband hurt his foot pretty bad at the beginning of summer, and hasn’t been able to drive it. (Handy tip…when playing soccer, one is supposed to land on the BOTTOM of one’s foot, not the TOP). We are hoping to get a bit of driving in before the weather makes it impossible to do so. We’re crazy busy around here, but that hasn’t stopped us from going together to Fandom Fest in Louisville, KY, attending the Champaign County Fair, and getting The Boy ready for school. I’m constantly staring at a computer a lot, working the day job, the part time job, the private cases, and, of course, working on two different novel projects. AND…trying to blog more often. I need to get better at this, I know. ALSO my birthday is TOMORROW….and for TOMORROW ONLY I’ve signed up with my publishers for a FREEBIE DAY. I’m giving YOU a present to celebrate my birthday. TOMORROW ONLY you can get THE GRIMM LEGACY in ebook for FREE!! That’s right. FREE. Check it out. And then, once you’re totally in love with Bert, Janie, Aiden, Mia, and the rest, check out books two and three. My goofy, crazy life just keeps on trucking. We are getting ready to take The Boy to soccer camp at a nearby university (will say where after he’s back) soon, getting geared up for the upcoming conventions/appearances, and getting ready for fall. (Yeah, I know, it seems early.) The Boy is already in cross country practices, we are hoping for soccer schedules soon, and he starts junior high this fall, so even more crazy to come with activities and sports and events and such. We’ve got peppers coming in our garden, and I can’t wait. I’m looking forward to seeding them, stuffing them with cream cheese, possibly wrapping them in bacon, and tossing them on the grill. YUM. Elizabeth the amazing whiny cat is CONE-FREE!! We’ve FINALLY found flea treatment and allergy proof food that is WORKING! Other than the hair filling in on the last bald spots, she’s 100% back to her former whiny minion glory, and is terrorizing sunbeams and catnip toys like a champ. This has been a fight nearly half of her life to find a combination that would not result in major itching, bald spots, hot spots, and allergic reactions. I think a lot of her problem also had to do with stress (we moved twice, the wedding planning taking over the house, the guys moving in, and us doing some remodeling did not help), but she’s doing WELL. We’ve got some children’s Benedryl to deal with the rough spots (with the blessing of the vet, by the way, don’t use this on your own animals without talking to your vet), and she’s back to her original, spaz-like cat self. I’m also working diligently on TWO (cuz I’m crazy like that) different novel projects. Definitely getting the opening of THE BUNYON BARTER going, but also making progress on the soggy middle (it always feels that way, no matter whether it’s good or not) of the Demon project I’ve been batting around for YEARS. I’m changing the working title of it. Some of you might definitely have heard me talk about it as Demon Busters, but it needs a better, catchier title. Current working title is GIRL VERSUS DEMON; DEMON DEADLY SINS. I’d love to turn this into a Girl versus Demon series. Drop me a comment and let me know what you think. Everyone is good at Chez King, if a bit frazzled by our insane schedule. I wonder sometimes how my folks did it with three of us. Of course, the three of us were generally running in similar (if not overlapping directions) so I’m sure it helped, but I’m in awe of my parents (and my in-laws, who also had three kids) and how they kept up with it all. The Silence in the Library Kickstarter for HEROES! was incredibly successful! Stay tuned here for details, and THANK YOU ALL FOR SUPPORTING IT!! For those of you who might be heading to Fandom Fest in Louisville, KY the first weekend in August, stop by my booth and say hi! Husband is going with me for ALL THREE DAYS! He’s a relative fantasy con newbie…so let’s show him just how cool it all is!